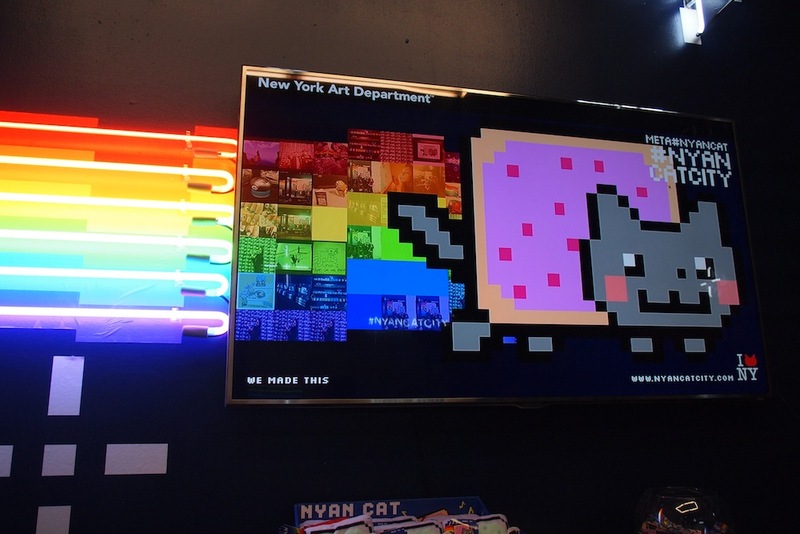 Last night, a gallery in the NoHo neighborhood of Manhattan transformed from a blank black box to rainbows and pixels in order to accommodate the beloved Internet sensation, Nyan Cat. The colorful pop tart cat is one of the most recognizable memes the Internet has to offer, and it’s the first (at least in my recollection) to have its own pop-up shop dedicated to its followers. The opening reception was so happening, even Scumbag Steve himself made an appearance. 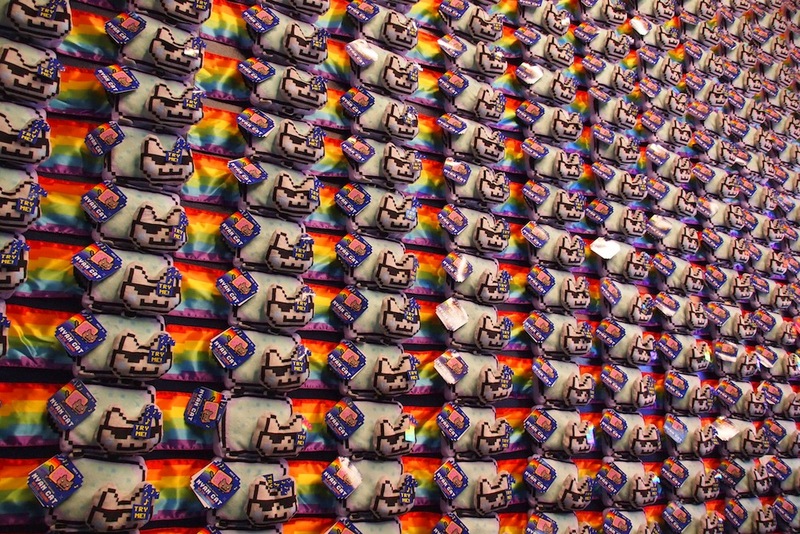 Now we could tell you about how Chris Torres, the creator of the painfully addictive Nyan Cat and his adorable soundtrack, became inspired to make this colorful feline, or how his life has been since Nyan Cat hit the Web. But, it’s a lot more fun if we tested the accidental meme creator with his knowledge of the meme world. Without further interruption, here’s the most Internet way to have a quickfire Q&A with the Nyan Cat mastermind himself. Digital Trends: Hi Chris! What a soiree Nyan Cat has thrown together. We just have to know, is this real life? Chris Torres: As real as David after dentist would say! DT: I guess, but can I haz cheeseburger? Chris: You can most definitely haz cheeseburger. DT: Cool, I’d like mine with bacon please! Speaking of bacons, Y U NO LIKE DOGS? Chris: Cats are the best things ever! The Internet is run on cats. DT: That is very true. Have you completed the Cinnamon Challenge? DT: I feel you. If there’s a Nyan Dog, would you be mad, bro? Chris: There is a Nyan Dog, it’s Toaster Dog! But I ain’t even mad. DT: So, magnets. How do they work? Chris: I don’t know, something about the Insane Clown Posse. I think they have something to do with it. DT: Man … okay, well, do you even lift? Chris: Ugh, this isn’t even my final form. DT: Fine, but would you rather fight one horse-sized duck, or 100 duck-sized horses? Chris: Probably a 100 duck-sized horses. They’re small, you can just kick a whole bunch of them around. DT: Fair enough. Wait a sec. How is babby formed? Chris: Babby is formed from the cave man. Yes, they are. DT: What’s the most scumbag thing you’ve ever done? Chris: I made Scumbag Steve drink a lot of Patron at 10 in the morning once. That was pretty bad. DT: Geez! On a scale of one to McKayla, are you impressed with this event? DT: Lastly, other than Nyan Cat, what is your favorite meme of all time? Chris: Keyboard Cat! I gotta kick it with the cats! Keyboard Cat, and a tie with Grumpy Cat – it’s the new thing coming.